Toe rings are special ornaments for the married Hindu women and the tradition of wearing these is centuries old. Even though many unmarried young women wear these for fashion today, but as per our Sanatan Hindu Dharmashastras, only married or suhagan ladies should wear them. Bichiya is a symbol of suhag and mainly associated with the beliefs of Hinduism, however, it has certain scientific significance as well. 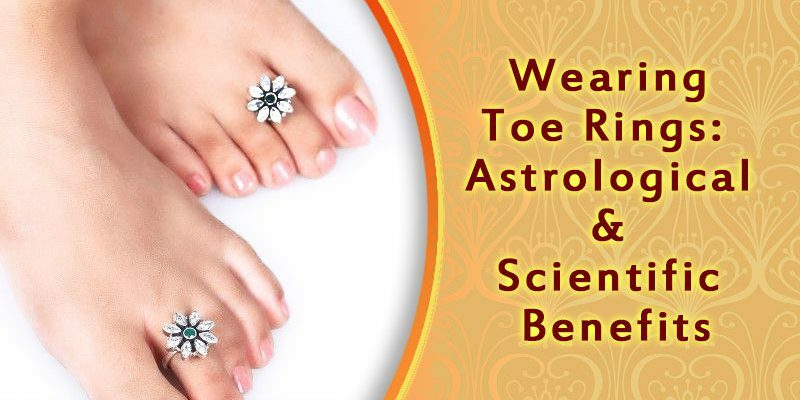 With this blog today, we will discuss the astrological and scientific significance of wearing toe rings. You will be astounded to learn that wearing toe rings is important for married women, not only from an astrological point of view but from a scientific aspect as well. Toe rings, generally made of silver, are worn in the middle toe of both feet as a symbol of their suhaag, and this practice is common, not only for the Hindu women but for Muslim women as well. Did you know that this practice of wearing silver ornaments prevails since Treta Yuga. According to mythology, Goddess Sita too wore toe rings in her feet after marriage and when Raavan kidnapped her, she dropped one of them on the way for Lord Shri Ram to find her. This proves that this custom of wearing toe rings is as old as time. Before we start with the scientific importance of wearing this jewelry, let’s discuss its astrological importance. Coming to the astrological importance, toe rings are considered to be the last ornament in the adornment of married women. From the maang-tika on their forehead to the toe rings in their feet, every jewelry item worn at the time of marriage has a certain meaning behind it. Just as the golden maang-tika is worn to maintain the impact of Sun in our lives, similarly, as per astrology, silver toe rings are worn to retain the effect of the Moon. The Moon calms our mind and heart and gives us coolness and calmness, which is why wearing silver rings in the feet is important for married ladies. As per Ayurveda, wearing toe rings in the second toe of both feet proves to be very helpful for the women in getting pregnant. Wearing toe rings helps the married ladies in keeping their monthly cycle regulated. In a way, wearing toe rings also works as acupressure for the ladies, which helps the nerves from the soles of their feet to their belly button work normally. It is believed that the second toe of both feet are especially connected with the uterus of the ladies, which is why wearing bichiya helps them in getting pregnant. Silver is said to be the conductor of coolness, hence, wearing them in their feet helps the women to remain calm and feel fresh. According to Ayurveda, the rings create a pressure on the women’s sciatic nerve which accelerates the blood circulation due to which the blood flow from her uterus to intestines remains normal. Wearing toe rings also helps control their blood pressure. In olden times, ‘bichiya’ was specially believed to be the symbol of suhaag, whereas today, they are trendily known as toe rings and unmarried girls have also started wearing them for fashion. Additionally, there are several types of toe rings available in the market other than silver rings, and many unwed girls prefer wearing metal rings in particular. However, as per science and astrology, they should not be doing this. Toe Rings should only be worn after marriage, and wearing the bichiya for the ‘solah shringar’ done during the wedding is considered special, and the makeup of a married woman is considered incomplete without them. Don’t ever wear gold toe rings. They must always be silver. Married women must take special care not to lose the rings or that they don’t come off/slip out. Never give a toe ring that you are wearing to somebody as a gift. They are the symbols of suhag and rights of the woman who has them since the very beginning. Not wearing bichiya can affect husband’s health and cause loss of money in the family. They should always be worn in the second and third toes of both feet. 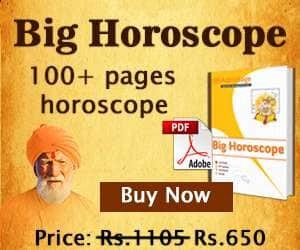 We hope that with this blog of ours, you have come to know about the scientific and astrological importance of toe rings (bichiya) well enough.